EVION SUPPLEMENTS, are a part of my daily life regime and why should not they be they replenished my hair and skin with the lust and shine that was snatched by the hectic schedule and pollution. The #Evion supplements are easy to use and will become a part of your smoothly. Vitamin E you either slather it on your skin or just swallow it as a capsule and will smoothly slip in your life. Coming to the benefits of Vitamin E and how it got involved in my life is a sweet memory. I was blessed with beautiful flawless skin with lustrous cascading hair. However post pregnancy symptoms were clearly to be seen on my skin and hair. Adding to busy schedule of work from home mother and handling a toddler took a charge over me and my hair and skin lost their beauty. I was disheartened but accepted it as destiny. Soon a friend of mine and mother of twin baby came to visit my baby. I was amazed to see the glow on her face and she then introduced me to the capsule of beauty and energy Evion Vitamin E. She took out a strip and gifted it to me. I wanted to give it a shot but asked my doctors confirmation to which he nodded. Did a bit of research on Google about the benefits of theses little pills. They were full of antioxidants and fight a host of conditions like age related vision loss, wrinkles, reverse skin damage, help the hair to gain shine and many more and I was convinced to use. The very next day after my breakfast I just popped a capsule and in the bottle of my moisturizer I put the serum from the capsule and stirred it well. Applied the lotion daily twice, and within a few days I could see the difference. Then again the compliments for my skin started to come and I was full of energy and was enjoying my motherhood. It then struck to that my hair fall could also be treated by Vitamin E so I started to apply it on my hair and then follow the hot towel therapy within months my hair was bake to its original self and I overwhelmed to see myself in the mirror. The antioxidants and free radical of the Vitamin E came to be a boon for me. The best part was that I need not make an extra effort to have it in diet my or get it in my regime. It was as simple as A, B, C to have it in my life and was economical also. Comparing to the heavy expenses that one needs to make in salons was not required and the results were more than satisfactory. Thus there is no denial to the fact that it helped me enjoy my motherhood with good looks and beaming with energy. This post was written for the Indiblogger campaign ‘My Vitamin E Mantra‘. The facts listed are unbiased and rooted in author’s personal experience of the product. These Vitamin E supplements does sound good by your reviews. I have been taking supplements by Amway and I have to try this too for sure because they sounds impressive to me. That sounds to be the cure for my skin and hair problems. Thanks for sharing about Evion. Thanks for these type of post or review really thankful to you. Very helpful information about vit. E supplement. Thanks for sharing. It’s sound good.. I will try it for my hairs and healthy glowing skin. Vitamin E is very useful for skin and hair. It enhances the elasticity of the skin. -the therapeutic management of Nocturnal Muscle Cramps, Intermittent Claudication and Fibrocystic Breast Disease. – Also indicated as a dietary supplement, in Malabsorption Syndromes. – Useful in the reduction of risk of Coronary Artery Disease (CAD). 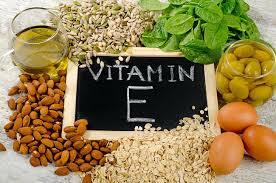 – Vitamin E supplementation is also beneficial in Male Infertility. – Evion is widely used to improve vigour and vitality. Never knew benefits of Evion capsules. It’s definitely worth a try. Nicely explain benefits of Vitamin E. It’s so useful to my skin n hair. Another useful post from U.Yes vitamin E is good for both skin and hair.I mostly use it for hair during massage. I have used this in my hair oil…it’s effective. This is so fantastic. I never knew so much about this product. It helped me by making more aware. Such a nice description of vitamin E. It proved to be so useful. This is really helpful. I have already started using evion capsules and the results are evident. 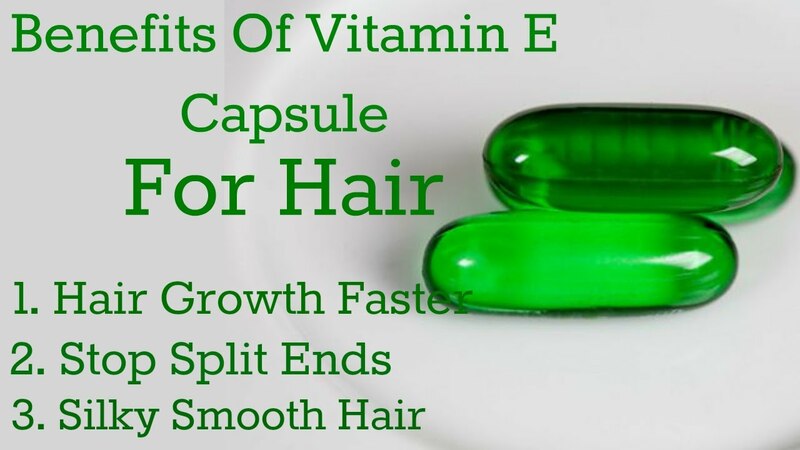 This review is quite helpful .Vitamin E capsules are really boon for both hair and skin. Oh. What a wonderful information! I was not aware about it before but now by reading your blogs I am aware about these things and will use them in my everyday life. Thank you for this blog post and for awaring us. Indeed this has been my secret too.. helping me from all the beauty hassles I underwent.. evion does helps a lot .. Thanks for the review, it’s really very helpful. I am happy to see solution by Vitamin E tablets. I never knew that its direct application would help my skin as well. I can vouce that its really good to use vitamin E capsule for skin and hair. I have used it for good amout of time and this post came as a reminder to begin the same again. Post pregnancy really change my skin and hair … Honestly I lost my overall glow. I’m happy to know that Vitamin E tablets work for hair and skin … Sure I’ll use this. So much information of vitamin E is helpful. I will definitely try this for my hair and skin. So much information of vitamin E is helpful. I will definitely try this for my skin and hair. Vitamin E is really good for skin and hair. I have never tried these capsules but would love to try for my hair fall. In my college days I used to use these capsules in facepack and for facial, it gives instant glow and makes skin look beautiful. Vitamin E is the skin’s best friend. I really like your blog content the way you put up the things. Keep it up!